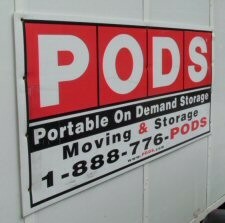 PODS is Portable On Demand Storage. The company was started in 1998. I have used them for all of my major moves. Four times now in the past 10 years. I have been very pleased with each and every time I used them. Everything happened just as they said it would and the price was exactly what they said it would be. Could not ask for anything any better than that. The price is not real cheap but it is worth it. If you are moving or just need to get rid of some clutter to sell your home then take a look at using PODS. PODS come in 3 different sizes. 7 ft., 12 ft., and 16 ft. The 7 ft. and 16 ft. containers are good for long distance moves within the United States and Canada. Packing supplies and packers are available. Container is at ground level. 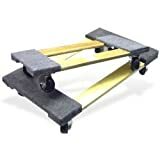 No moving furniture up a ramp! There are a few different moving options that PODS has to choose from to help determine pricing. Each time we have made what would be considered a local move. One time we chose Local Move with Storage. It just means they keep your POD in their warehouse for however long you need them to. For a fee of course. That fee was fairly expensive. Something like $250 per month. 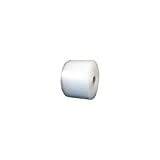 Large Bubble Wrap 65'x24 "
Call PODS and get a quote. 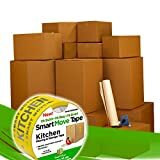 They will need the distance of the move and you will schedule drop off, pick up and delivery times with them at this time. Make sure you have your calendar in front of you when you call them and have somewhat planned out when you want it dropped off, picked up, and delivered to the destination. POD shows up on scheduled drop off date. Load the POD until your scheduled pick up time (about 2 weeks). POD is picked up on scheduled pick up time and taken back to the local warehouse until scheduled drop off date. POD is dropped off at new residence on scheduled drop off date. Take your time (about 2 weeks) to unload your POD. Empty POD is picked up. The customer service at PODS is excellent. They always call when they say they will and show up when promised. The drivers are very courteous and have great personalities. Believe it or not! You can also do business with them online at PODS.com just as easy as on the phone. They make everything easy for you. We moved 65 miles the last time with PODS. They did not do our entire move. We used movers for all the big heavy furniture. But we did use PODS to clear our house out of all the clutter so that we could put it on the market for sale. We used a 16 ft POD. Our PODS bill was approximately $1,100.00 USD. That does not include the storage fees that we incurred since we left the POD in their possession at their warehouse for approximately 3 months. That was another $250 per month. It is not cheap but they make it oh so easy. I feel like it was worth every penny. If you can swing it, use them for your next move or storage needs. You won't regret it. Have You Ever Used PODS With Your Move? We all miss you too but will be here when you get moved and relaxed in your new/old home! Thanks girl. I really need it. We are scrambling to get everything packed up for the move on the 30th of this month. We got the POD loaded up and it is sitting in a warehouse right now. It will be delivered to our Richmond home on the 19th. Then its time to unload it....ughhh.. I am painting and fixing things around here too.. lots going on. Hope to get this past me so I can put more time in writing. I really miss being able to write as much as I was doing. Thanks for reading and commenting. Very cool, I know you've had your share of pods lately. I saw one the other day in someone's driveway and thought of you. I do hope the move is going as smoothly as possible. My most positive thoughts are with you!